Macau casino operator MGM China Holdings Ltd is still looking for a replacement for John Shigley as chief operating officer of gaming, the firm’s chief executive told GGRAsia on Thursday. Mr Shigley’s imminent departure was confirmed to GGRAsia in June and estimated to be “later in the year”, but he remains in his post and was present at a company event on Thursday. The timing of the executive’s departure is dependent on finding a replacement, said CEO Grant Bowie. 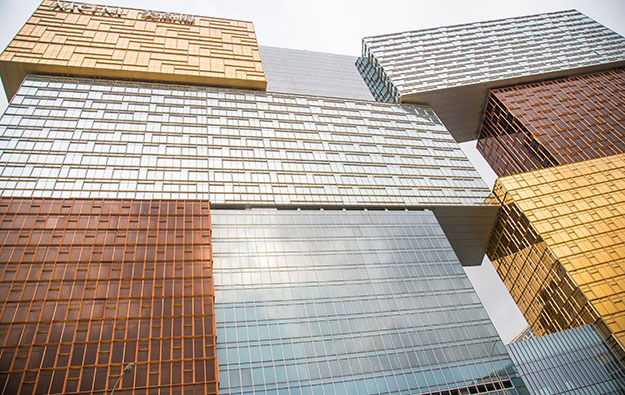 The CEO also confirmed a report that “Destiny”, one of two resident shows that had been planned for the MGM Cotai resort – a facility that opened in February – would not be going ahead imminently. He added that the show – as currently conceived – might not go ahead at all, and that whatever the content, such a resident show was unlikely to be ready in time for Chinese New Year, which in 2019 falls on February 5. GGRAsia also asked Mr Bowie about suggestions by some investment analysts that the opening of MGM Cotai in February had seen cannibalisation of the gaming business at the group’s original property MGM Macau, in downtown Macau on the city’s peninsula. Mr Bowie also referred to market mood. Earlier this month Francis Lui Yiu Tung, deputy chairman of market rival Galaxy Entertainment Group Ltd, told GGRAsia that the United States-China trade war could be a factor in Chinese consumer confidence ahead of the U.S. mid-term elections in November. Mr Bowie confirmed two of the three junkets still to come to MGM Cotai would be Tak Chun Group and Meg-Star Group. The CEO was speaking on the sidelines of a launch event for the 10th edition of Oktoberfest Macau at MGM – an annual event based on the famous Munich beer festival. MGM China’s version has had a growing following and features in each edition a guest German band – that has usually also played the Munich event – as well as offering Bavarian beer and German food. This year is the first time the event can be held at a larger space in MGM Cotai, compared to its previous home at MGM Macau. Mr Bowie said that while in the early days the event had attracted “700 or 800” people, it was now catering for “thousands” each night. 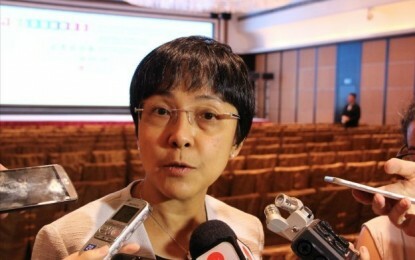 During a speech at Thursday’s launch ceremony for Oktoberfest Macau at MGM – which this year runs until October 29 but with no event on Sunday October 21 – Pansy Ho Chiu King, co-chairperson and executive director of MGM China, mentioned the tourism market opportunity created by the launch of the Hong Kong-Zhuhai-Macau (HKZM) Bridge. Speaking later to local public broadcaster TDM, Mr Bowie referred to how the bridge - reportedly due to open on Tuesday - was yet another “exciting” element relating to the Chinese central government’s plan for improved regional infrastructure and economic ties via the Guangdong-Hong Kong-Macau Greater Bay Area initiative.